MoJack® XT... the perfect helper for do - it - yourself fixes! Fits mowers and ATVs up to 62 1/2 " wide. 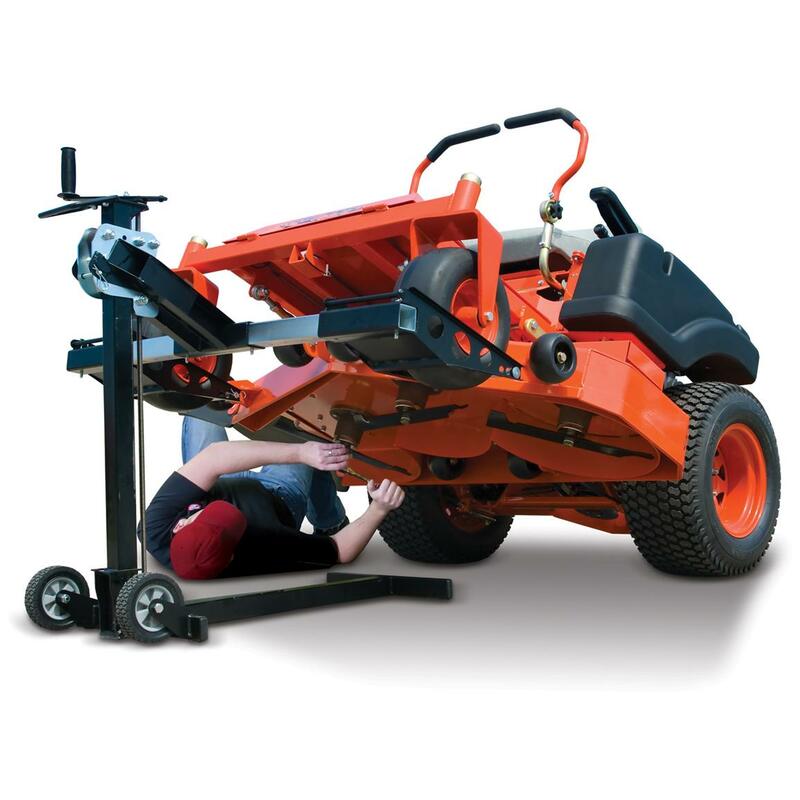 Designed to provide easy access to the undercarriage of your mower or ATV, the MoJack® XT makes for hassle-free maintenance! It's a burly, supremely-safe system... pushes up to 500 lbs. up to 25" high, plus adjustable width from 31 1/ 2 - 62 1/ 2 ". Great for blade sharpening, debris removal, belt replacement, oil changes and more! Measures 40 x 62 1/ 2 x 45" and weighs 75 lbs. MoJack for your money... order yours ONLINE now! MoJack XT is rated 5.0 out of 5 by 1. Rated 5 out of 5 by dewy from Works Great! I admit, I bought a cheaper product elsewhere first Wouldn't lift my mower (60" Hustler X-One), returned it.This one is better quality, should have bought it the first time around. Easy to put together and the crank is easy to turn. No hydraulics to go bad. Arrived faster than expected. Add comfort to your work routine. 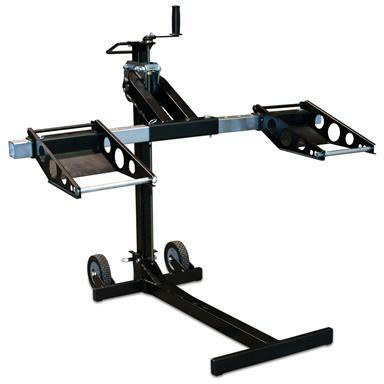 Mounting patterns include: 8" x 11.5" and 11.25" x 11.5"
Ride in comfort while you work.